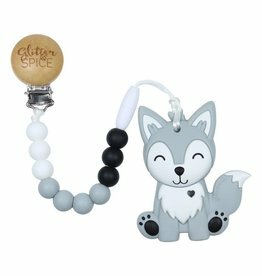 Glitter & Spice - Grow Children's Boutique Ltd. These little masked critters are as adorable as can be and are the perfect teether for your teething babe! 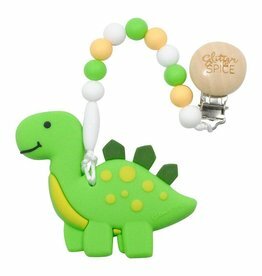 Your little Teethasaurus will go crazy for these adorable Dino Teethers! 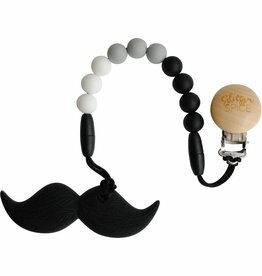 This adorable Moustache teether is perfect for your little gents! Made from 100% food grade silicone, our products are free from harmful chemicals! 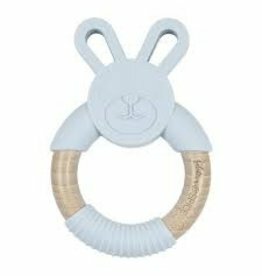 Our Koala Teether is perfect for little hands and mouths! 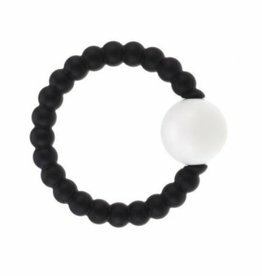 It is textured on both sides to provide maximum relief for your little one's sore teething gums. These monochromatic rattles are the perfect little teething toy for your littles. 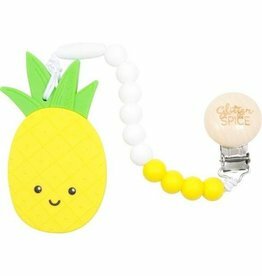 Stylish silicone teething necklaces and teethers that are safe and fun for babies to chew!